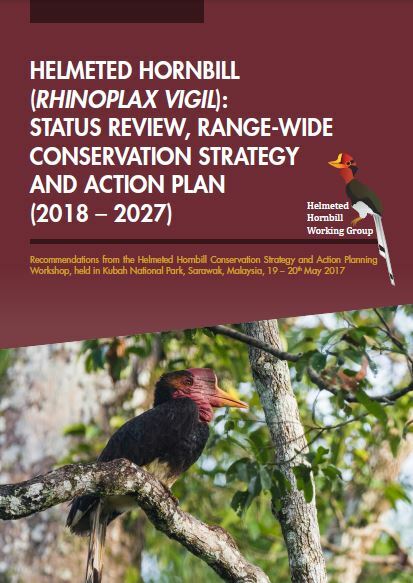 Today we launch a new 10-year conservation strategy and action plan to protect the Helmeted Hornbill (Rhinoplax vigil). It includes calls for increased funding to scale-up conservation attention on a bird that has seen a recent surge in international trade. The eye-catching Helmeted Hornbill has a relatively short bill, with a distinctive red helmet. The unique call of the male can be heard over a huge 2 km distance. Adults can grow up to 1.2 metres, and can live for up to 50 years. Humans have used tail-feathers, heads and casques (helmet) of the Helmeted Hornbill for centuries, as decorations and for ceremonies. Occurring in five states across the Sunda sub-region, the Helmeted Hornbill can be found in Myanmar, Thailand, Malaysia, Brunei and Indonesia. It is already considered extinct in Singapore. The Helmeted Hornbill population is believed to be rapidly declining due to extensive poaching in Indonesia. As the number available in Indonesia declines, it is thought that poaching in Malaysia has increased. The casque of the bird is extremely valuable – a single piece can fetch more than USD 1,000 on the black market in China. This price is five times higher than for elephant ivory. Between 2010 and 2017, almost 3,000 casques, skulls and products, worth almost USD 3 million, were confiscated at close to 60 separate seizures. Beyond trade, habitat loss, degradation and fragmentation are of particular concern for the Helmeted Hornbill. For those that are outside of protected areas, there is increasing pressure from logging and development. The newly launched conservation strategy and action plan is a collaborative effort that has taken time and dedication. In 2015, Wildlife Reserves Singapore (WRS) hosted a meeting to address the crisis, bringing all the key players together. Through this meeting, Birdlife International up-listed the species from ‘Near Threatened’ to ‘Critically Endangered’ on the IUCN Red List. 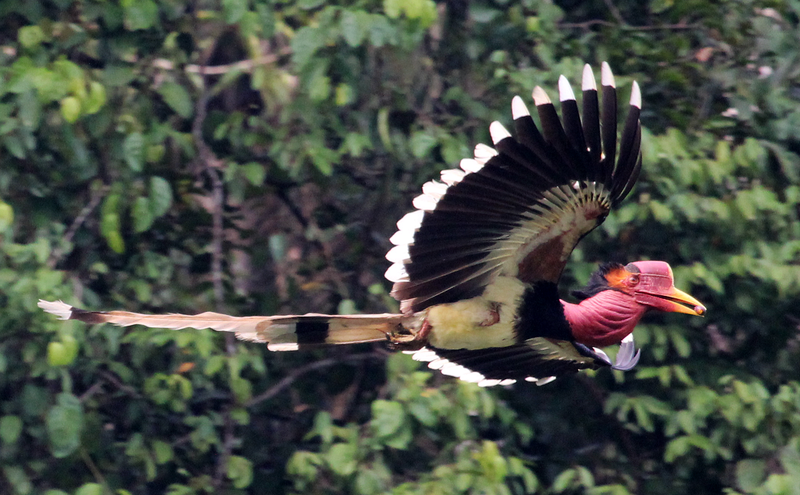 The Helmeted Hornbill Working Group was also established. Then in 2017, close to 30 organisations and governments attended a workshop. The event was organised by the working group, ASAP, Hornbill Research Foundation, Wildlife Conservation Society and Birdlife International, with support from WRS and the Sarawak Forestry Corporation. To enable timely and effective implementation of this action plan, the Helmeted Hornbill Working Group has been formalized under the IUCN-SSC Hornbill Specialist Group (HSG). Previous: International Conservation Grants from Zoos Victoria – Now open! Find out which organisations are already ASAP Partners, and see which ASAP species they are working to conserve.